[0:07] <f00bar80> Sonny_Jim, so is it supported by default on the Rpi ? [0:11] <f00bar80> Sonny_Jim, then what do i need exactly? 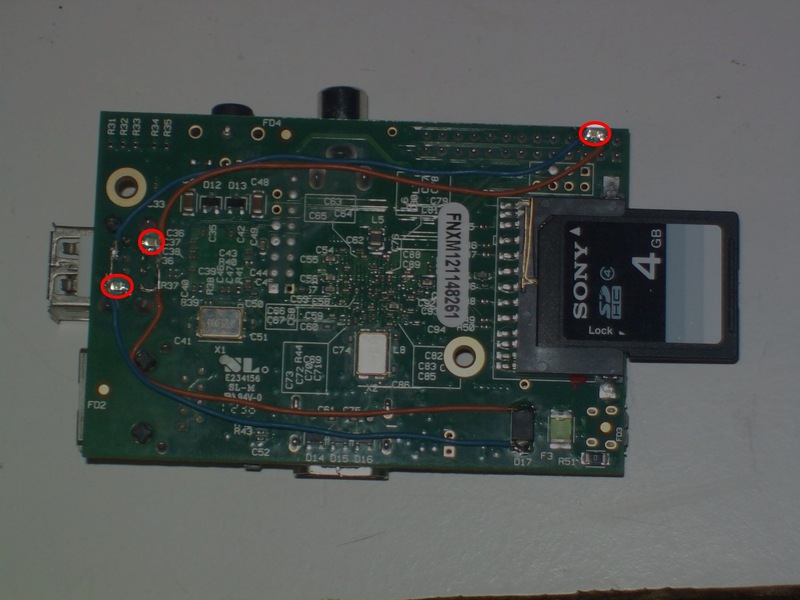 [0:13] <f00bar80> Sonny_Jim, then what/which lcd/displays are supported by default on Rpi? [0:19] <sinni800> is there any software good fitting on a rpi and up for the task? [0:23] <sinni800> Sonny_Jim: sounds like a good idea... what if i wanted to do animations, would i screenrecord it to mp4 in that case? [0:24] <f00bar80> Sonny_Jim, so any of the TFT LCDs in the link above can work on Rpi? [0:26] <Mrgoose> does that mean the voltage dropped to low at one point? [0:28] <f00bar80> sinni800, so the small LCDs are compatible ? no need to any extra boards ? [0:35] <sinni800> with my limited knowledge i'd say..
[0:39] <f00bar80> sinni800, so how basically on the first time i use Rpi, i'll be able to communicate with Rpi without a screen ? [0:39] <sinni800> f00bar80: you can connect a screen using hdmi? [0:51] <f00bar80> sney, so what about this one http://store.fut-electronics.com/SLD62445P-1.html do you think can by default work on Rpi? [0:52] <sney> does it have compatible pins and linux kernel support? [1:00] <f00bar80> sney, how to know if it has linux kernel support? [1:11] <f00bar80> sney, i found one with a composite input , this can work ? [1:12] <sney> f00bar80: what do you think? [1:14] <sney> why are you doing this project? [3:28] <jacres> miasma: yeah? is it worth it? I mean, does raspbiean bypass X completely? [4:05] <[Saint]> using wayland only for a terminal session has to be about the most boring thing you could possibly do with it. [4:10] <Mrgoose> anyone doing a battery powered setup? [9:07] <Nefarious___> any Op that I could speak to? [11:20] <gordonDrogon> but the person who was asking is now gone... ah well. [11:43] <Kake_Fisk> Should I add pi@raspberrypi to the www-data group? [11:45] <Nefarious___> Kake_Fisk: you asked before about Apache or Cherokee. I would suggest lighttpd personally. I'm guessing you're following tinkernut 320? [11:49] <MrVector> I've ran into something that's had me stumped for a while now, in my bare metal project I'm sending and receiving via the mini uart successfully, it works without a problem. Thing is, the reading part breaks with the simple addition of a printf() call that prints to the screen. Any ideas what might be causing this? [11:50] <Kake_Fisk> Ou, looks nice. [11:50] <Kake_Fisk> Do you use ssh now? [11:51] <Nefarious___> yeah. I actually removed the webserver recently though. [11:54] <Kake_Fisk> Can I make my raspbian os only boot into terminal and not dekstop? [11:55] <Nefarious___> like >50 hits, I ran a shop. [11:55] <gordonDrogon> Kake_Fisk, yes - run sudo raspi-config and change the option there. [11:59] <Kake_Fisk> The only user on my rpi is the user pi, right? [12:03] <Kake_Fisk> sudo means execute from root? [12:04] <sinni800> Jck_True: oh not even on debian anymore? [12:04] <sinni800> didnt ubuntu start the no-root craze? [12:31] <Nefarious___> Davespice: sorry for an untimely reply. [12:37] <gordonDrogon> root is still there - and on a default debian install you get the choice to enable it or not. in Raspbian it's disabled so you need to use sudo, but it's easiy to enable just simply setting a password in the root account - sudo passwd root and off you go. 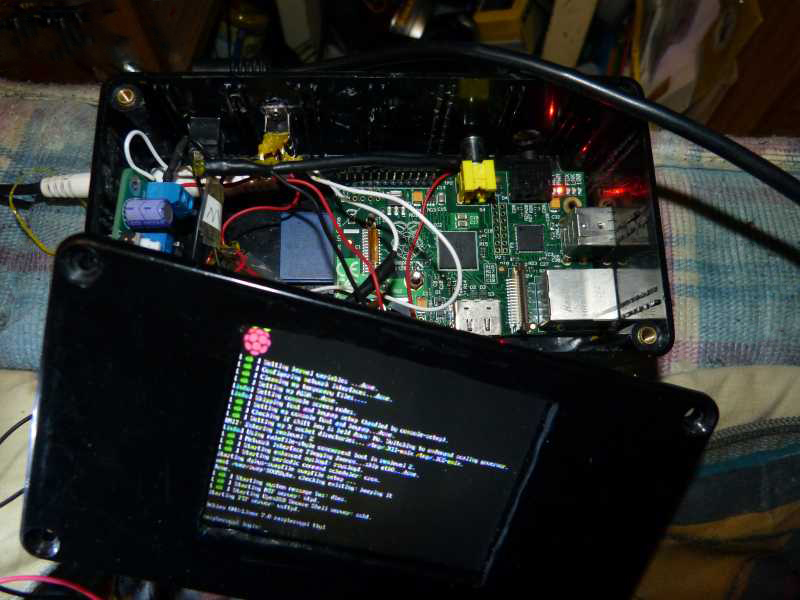 [13:51] <quackgyver> Anyone done anything kiosk-like with their rPi? [13:55] <Kake_Fisk> How can I make the users not being able to access other folders than www? [14:03] <Jck_True> I have one of the first Pi boards - Its safe to remove the Polyfuses for the USB ports right? [14:06] <Jck_True> But the traces aren't wider on the Rev2 board right? [14:10] <Triffid_Hunter> ahh you got one with the tiny 140mA polyfuse? [14:55] <tig|> snoshers: does it have to be 6 wide or could it be 5? [14:55] <Draylor> it'll look crap, but i dont see why not. fill bottom line or two, fill columns 1, 3, 4, 6. [15:27] <sinni800> MrVector: does it contact with infrared? [15:29] <sinni800> furthermore.. if its a composite device... did it make a COM port? [15:52] <MrVector> Sorry for the late response, I'm at work and the people here expect me to actually work. [16:05] <SpeedEvil> busla: you probably want a PIR sensor. [16:07] <SpeedEvil> You want a narrow beamwidth. [16:08] <SpeedEvil> In principle, yes. [16:09] <SpeedEvil> What are you trying to do? [16:09] <MrVector> Oh i'm not doing anything at the moment, I always keep my eyes open for new ideas though! [16:12] <SpeedEvil> The 'right' solution is a Pi camera + software to pick people coming in or going out of the door. [16:13] <MrVector> Added benefit, you can take a picture of everyone! [16:13] <SpeedEvil> Working out if someone is going in, going out of the door, or hesitating in the door and going back where they came from is hard. [16:14] <SpeedEvil> busla: Now - three people come through in a group - what happens? [16:15] <SpeedEvil> If you're looking at DIY and cheap solutions. [16:15] <SpeedEvil> A cheap laser diode. [16:15] <SpeedEvil> A small mirror on the other side of the door. [16:15] <SpeedEvil> A photosensor to pick up the light. [16:16] <busla> but will I need an arduino board aswell? [16:16] <SpeedEvil> The above was just using 'arduino' because it's a popular search term. [16:23] <SpeedEvil> There is no door. [16:31] <MrVector> Another idea would be to put a big red button just inside the door "Do NOT press"
[16:32] <MrVector> People are curious, everyone will press it! [16:48] <MrVector> A camera with decent quality and some image processing should work though? [16:51] <MrVector> I've seen people do some amazing things with image parsing, I'm sure there's a way! [16:53] <MrVector> And then you deal with it! [17:24] <SpeedEvil> In principle, FLIR might be somewhat easier. [17:25] <SpeedEvil> Or if you require everyone to go through naked but for a light coating of marmite. [17:25] <SpeedEvil> - the DHS approach. [17:44] <SpeedEvil> Jeri is somewhat awesome. [17:45] <SpeedEvil> As is ben. [17:47] <kwixson> rushing to get a presentation ready and I need help i couldn't find with quick google search. Composite video. Have booted this Pi on HDMI, now trying to bring it up on a TV, no signal. How do I get this to show up with composite out? [17:49] <kwixson> SpeedEvil: done. no joy. next? [17:49] <SpeedEvil> I'd try googling or something. [17:50] <vfw> kwixson: Must be an input menu on the TV. Right? [17:51] <kwixson> vfw: No. The video has coax in so I have an adapter hooked up. I've connected other composite video devices through adapter and confirmed it works. [17:51] <vfw> Then look for the menu button on the TV, or on the TV's remote. [17:53] <vfw> I don't know about coax, I've used hdmi, composite, hdmi with vga converter and htmi with dvi adapter, but I've yet to use coax. [17:54] <vfw> If you connect to the coax port on the TV, I'm not sure what setting or channel you would have to set the tv for. I guess you find option for tv tuner and then search? [17:55] <vfw> You'd have to either know what frequency the PI transmits or tell the TV to search for it. [17:56] <vfw> I don't know if it would be trying to transmit to HDMI, I think I've always just assumed it transmits through both all the time. I really don't know. That is a good question. [17:59] <vfw> But if it is coming to the TV on a coax input, the TV will need to either search for a frequency or be manually tuned to it. [18:04] <kwixson> Okay, here's something. I put in a fresh, unspoiled NOOBS chip and pressed number 4 on the keyboard, which specifies composite video, and it came up on the TV straight away. [18:05] <roxlu> the playback of my video streams hangs so now and then and I'm trying to figure out why. [18:05] <roxlu> Someone around who has experience with this and has some ideas? [18:05] <kwixson> Thus...system is working. Now, back to my already installed copy of Raspian, how do I get it to either a.) auto detect HDMI vs. composite, or, b.) specify composite? [18:07] <kwixson> tig|: Doesn't seem to be working that way. [18:07] <kwixson> tig|: HDMI is not connected. No composite display. [18:11] <kwixson> tig|: Oh, no. NOOBs is working like that. It came up on composite. It's the install of Raspbian I can't get to display through composite. [18:37] <Kake_Fisk> Is there a httpd.conf in raspbian apache? [18:40] <tig|> where foo is the name of your file etc. [19:37] <clever> what kind of errors? [19:39] <clever> are you using the makefile from that page? [19:40] <SKyd3R> cc1: error: unrecognized command line option "-Wno-unused-but-set-parameter"
[19:40] <SKyd3R> cc1: error: unrecognized command line option "-Wno-unused-but-set-variable"
[19:40] <SKyd3R> cc1: error: unrecognized command line option "-Wno-unused-result"
[19:43] <SKyd3R> do you have any idea of what compile should I use? [19:44] <clever> how did you get /usr/local/cross/bin/arm-none-eabi ? [20:51] <f00bar80> any DSI LCD , can be easiliy connected to Rpi? [20:55] <f00bar80> even this one http://www.4dsystems.com.au/product/5/35/Raspberry_Pi_Display_Modules/uLCD_24_PTU_PI/ , isn't directly connectable and compatible with Rpi? [20:57] <chithead> "Utilises the Raspberry Pi's UART Serial Port." [20:59] <gordonDrogon> that's easy. There are NO DSI supported screens right now. [21:00] <gordonDrogon> you can connect a standard analog tv/monitor via the composite video connector (the yellow one) low resolution by todays standards, or any HDMI monitor/tv via the hdmi connector. [21:01] <f00bar80> gordonDrogon, what if i want a protable display ? [21:01] <gordonDrogon> there are some reasonably priced hdmi to vga adapters now too. [21:01] <gordonDrogon> f00bar80, get a car reversing monitor - 3.5" and connect to the composite video. [21:02] <pksato> f00bar80: to make a tablet? [21:08] <f00bar80> pksato, how much it this toy? [21:10] <pksato> asking for cost? [21:10] <f00bar80> ShorTie, this is composite and can be directly connected to the yellow connector and works directly without programming or any extension/expansion? [21:12] <f00bar80> ShorTie, can i run it on a 9V flat battery? also what option do i have if i want to run Rpi on a battery? [21:14] <ShorTie> you mean like a 9v dry cell ?? [21:16] <gordonDrogon> My head torch takes 4.5v flat batterys..
[21:21] <gordonDrogon> there is no 5v internal regulator on the Pi..
[21:31] <f00bar80> ShorTie, and what about the Rpi itself , can't get it running on a battery ? [21:33] <f00bar80> steve_rox, can you show me this battery on amazon ? [21:35] <shiftplusone> f00bar80, nobody can figure out what that lcd is by that picture alone. [21:35] <shiftplusone> well, maybe not nobody, but certainly not us mortals. [21:36] <f00bar80> steve_rox, and how you're connecting it to Rpi? [21:38] <pksato> f00bar80: any bare LCD (or others) panels NOT work with RPi (or others). Need some circuit to make a propper interfacing. [21:40] <pksato> GPIO need some software and hardware effort. [21:42] <pksato> The linked LCD, like a LVDS panel. can buy module for it on ebay. Find some seler and ask about compatibity with these display. Need type code of display. [21:51] <steve_rox> some composite thing? [21:52] <gordonDrogon> steve_rox, poke out what? [21:53] <gordonDrogon> steve_rox, wiringPi? the gpio command? [21:54] <gordonDrogon> steve_rox, ah, you're talking about a physical connection! [21:57] <steve_rox> have you got your rpi in any fancy case? [22:05] <clever> remeber what dave (from the eevblog) calls it? [22:15] <steve_rox> whats it do? [22:17] <clever> ' If, however, this coat is melted or scrubbed off, and has no chance to reform, the operator is confronted with the problem of coping with a metal-fluorine fire. For dealing with this situation, I have always recommended a good pair of running shoes." [22:18] <gordonDrogon> Ah, you're reading Derek Lowe's stuff..
[22:18] <gordonDrogon> In the Pipeline. [22:20] <gordonDrogon> http://pipeline.corante.com/archives/2008/02/26/sand_wont_save_you_this_time.php <-- is the article you want. [22:21] <gordonDrogon> it's probably his book. [22:21] <steve_rox> if i do put this sensor on the 3.3 line and put a multimeter over digital out what can i expect? [22:22] <clever> gordonDrogon: doh, it says the book name right on the page you linked! [22:23] <gordonDrogon> Although Derek Lowes blog makes excellent reading. [22:27] <gordonDrogon> the hard way. [22:27] <clever> gordonDrogon: what about that stuff they wanted to dump at the bottom of a bay? [22:33] <steve_rox> you seen the radiation prediction simulation map? [23:23] <f00bar80> asking if the Rpi support any microSD ?? or should i buy the one bundeled with it? [23:28] <shiftplusone> there's no microsd slot, but the pi can read microsd cards just fine through the adapter they all come with anyway.